Bats are always released alive and unharmed. We have created this page to address a question we are asked on practically every job: What do you do with the animals? 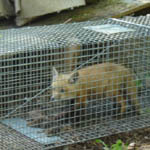 Remove the animal from the premises and euthanize the animal using humane euthanasia techniques, as set forth by the American Veterinary Medical Association. Release the animal on-site, in the customer's yard. Why would you want the animal released in your yard if you just paid us to capture it? Well, in a lot of cases we can perform what's called an exclusion. An exclusion can be as simple as removing a squirrel from a hole in the roof, properly sealing the hole and then releasing the squirrel in the yard. As long as the hole is properly sealed and there are no other weak areas on the house, the squirrel will not be able to get back in and the animal need not be euthanized. In some cases this is possible and in others is it not. We perform this service quite often with raccoons in chimneys. We will remove the raccoon from the chimney, install a stainless-steel chimney cap and then release the raccoon on-site. The raccoon will not be able to get past the chimney cap, and will simply leave the premises. 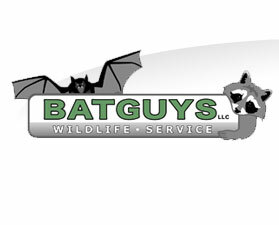 BatGuys strives to provide the most humane wildlife removal service. We will release animals on-site whenever possible. These laws are written to stop the spread of diseases from one area to another. If a rabid raccoon was captured in an area that is infested with rabies and later released some 30 miles away in an area where rabies does not exist, this action would cause the disease to spread. Some feel that these laws are cruel but they do serve a purpose. Besides spreading diseases it is a fact that releasing an animal into an unfamiliar setting will most often result in the animal starving to death or dying from exposure to the elements. It is believed that over 85% of relocated animals die within the first two weeks in their new environment. The reason for this is because the animal is no longer on its "home turf". It does not know where to find food or shelter. 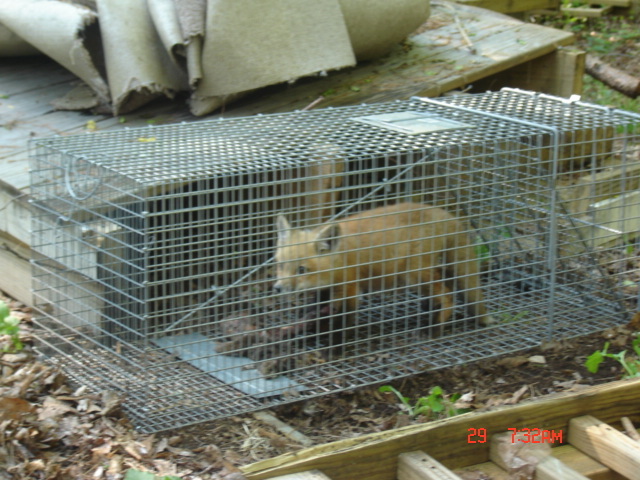 Relocated animals in a suburban or urban setting will often become a nuisance for someone else for a few weeks while trying to locate food and then die shortly thereafter. Have you ever seen a starving raccoon that froze to death in sub-zero weather because it could not find shelter? I have, and I can tell you that I feel much better about humane euthanasia than relocating an animal so it can starve to death. We believe that the laws make sense for everyone, and we always adhere to them. If a wildlife removal company tells you that they relocate their captured animals, they are either lying to you or they are breaking the law. If you hire us to analyze your wildlife problem feel free to ask us more about this controversial subject. We'll be happy to answer any questions you might have, but please remember: we are not "bat exterminators."